Ohio Gov. 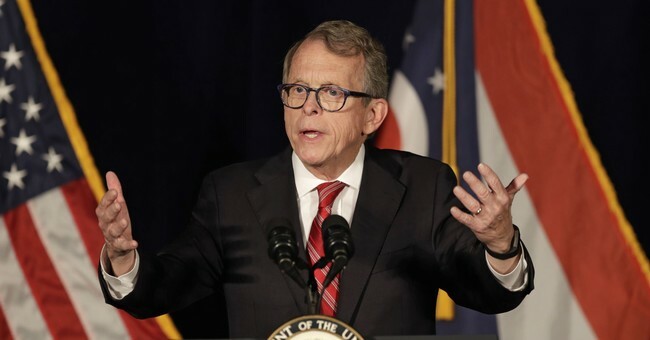 Mike DeWine (R) gave a victory to the pro-life movement Thursday by signing one of the strictest pro-life bills in the nation. The Human Rights and Heartbeat Protection Act makes it illegal for women to receive abortions after the first heartbeat is detected. According to The Hill, a fetal heartbeat can occur between eight and ten weeks. The bill was able to pass in the state’s House and Senate. Both have GOP control. The bill was sent to the governor’s office twice before, but former Gov. John Kasich vetoed the measure both times. State Rep. Candice Keller (R) said the measure was "the most compassionate bill we've ever passed." But pro-abortion supporters are outraged by the state’s decision. "I'm concerned that our kids are going to leave,” Ohio State Rep. Michele Lepore-Hagan (D) said in tears, “that we're going to lose a large amount of young people who don't want to live in an oppressive atmosphere." Seema Nanda, CEO of the Democratic National Committee, said that the bill is, "the latest example of how the Trump administration's extremist, anti-women policies have emboldened legislators across the country to attack women's access to health care." ACLU of Ohio also took issue with the governor approving the bill and announced on its website that it would be filing a lawsuit against the measure. Pro-life advocates want to challenge the Supreme Court’s decision in Roe v. Wade, and they consider the heartbeat bill a step toward the larger goal. "The heartbeat bill is the next incremental step in our strategy to overturn Roe v. Wade," Ohio Right to Life President Mike Gonidakis said. "While other states embrace radical legislation to legalize abortion on demand through the ninth month of pregnancy, Ohio has drawn a line and continues to advance protections for unborn babies."